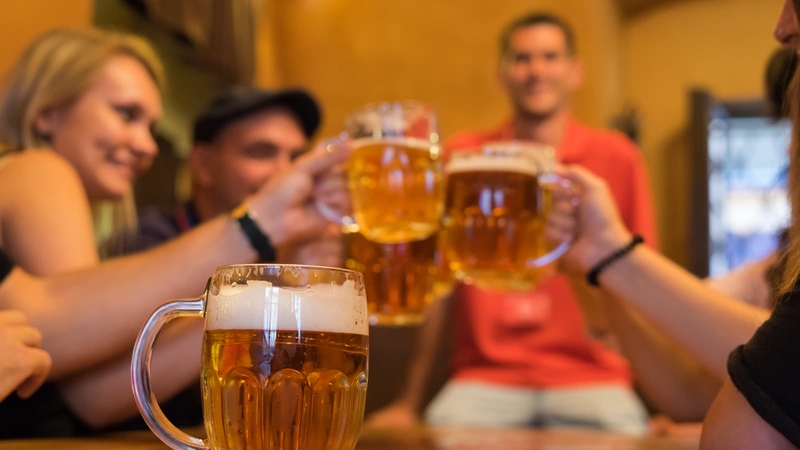 No trip to the Czech capital is complete without sampling a few of the beers on offer! 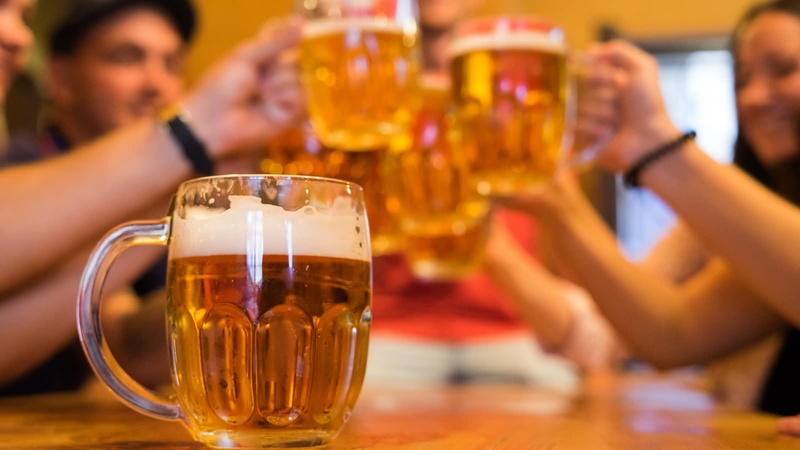 Join a local beer expert to discover some of the nation's favorite brews. 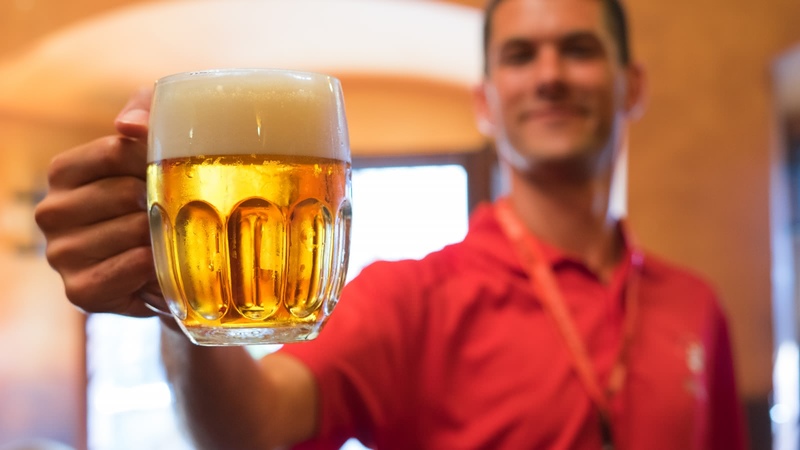 Your 4-hour Prague Beer Tour starts in front of the Cartier store and the Czech tourism office on Old Town Square and it finishes within a 10-minute walk from the meeting point. 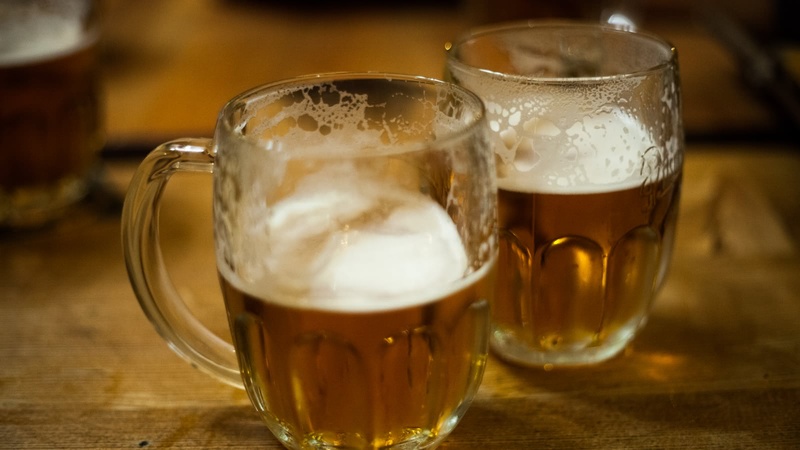 People are often surprised to hear that the Czech's drink more beer per capita than any other nation in the world, but once you've tried some of these local beers, you'll understand why. 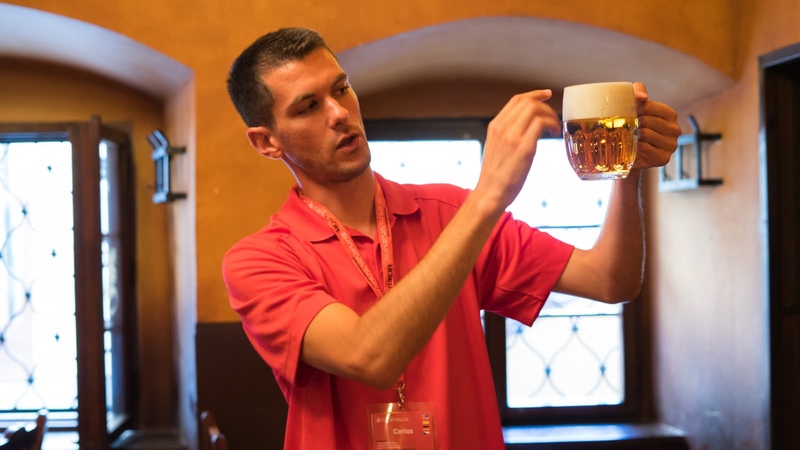 Your expert Prague Beer Tour leader will reveal some of the secrets of how the world-renowned Czech Beer is made. Sampe not just the beer, but the Czech hospitality. However, drinking the beer is only half the experience! 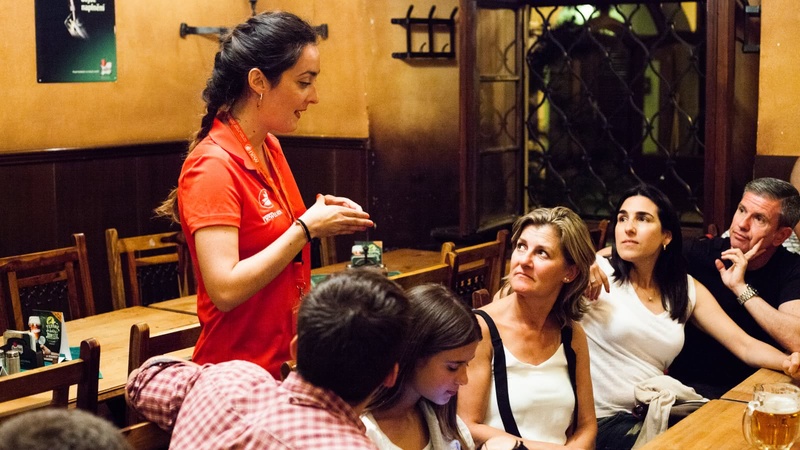 You'll also get to experience the friendly and lively atmosphere in some of Prague's best and most popular bars. 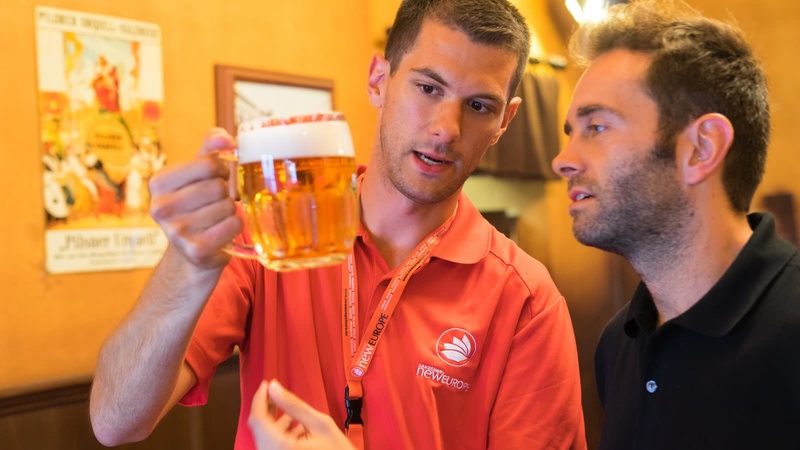 Of course, what would a beer tour in Prague be without actually drinking some of beer? 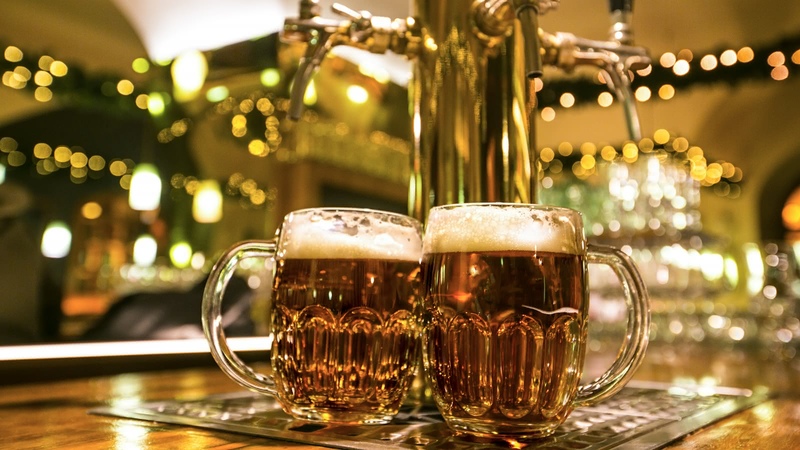 This tour includes three authentic Czech pubs, with four 0.3L beers and one 0.5L beer, and even some bar snacks to keep you going. As a group of two we didn’t feel set up for going on the party beer tours in the city so went for the SANDEMANs beer tour as a more laid back option. Jana, our Czech guide, did not disappoint us! She gave us plenty of fascinating background facts regarding the history of brewing in Prague as well as being good fun. The three bars we visited all had plenty of character and the lagers (the only beers available in Prague) were excellent. The atmosphere and company were very conducive to meeting new people and, thanks to the 18:00 start, there was plenty of scope for doing more with your evening afterwards. Definitely worth booking online. Very good value! Our guide Daria was very knowledgeable about how beer is made specifically in the Czech Republic. We had lots of fun and laughs. We met amazing people from all over the world! Had some great beers, and got to explore the city a bit. Highly recommend going on a beer tour with Daria!! For what I believe was approximately the equivalent of $18, I thought the beer tour was fantastic - especially as a solo female traveler. The price included 5 beers, and I met some lovely other travelers on the tour. The last stop (out of 3 total stops) included decent options for dinner. I was impressed with the information provided - really, for the value, it is a great tour and a lot of fun. 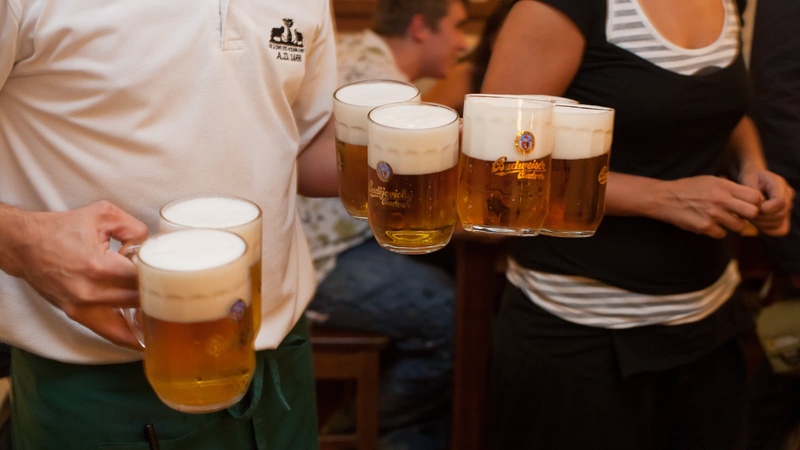 This was a great way for me - as a solo female traveler - to experience Prague's beer culture and meet fun people. It would be fun with a group as well. Plus, the tour ends early enough that you can go out with your new friends or retire for the night at a reasonable time. Did the beer tour yesterday and had a really great experience. Being a solo traveller this was a great way to meet many people around the world. The bars we went to were nice and each one was unique in its own way. Also Daria was excellent! 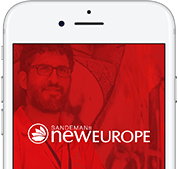 Really friendly, knowledgeable and easy to talk to. Was good to learn about the making of beer and its history in Czech Republic. Definitely recommend this tour! I was recommended this beer tour by a walking tour guide, who said this was a great way to get to know other travelers. As a solo traveler that's exactly what I was looking for and exactly what I got. The tour guide was friendly and listed off a bunch of information about the beers and the history of beer in Prague, but what really made it were the conversations prompted by the different types of beers we were given- all amazing and there was a good variety. Keep in mind, you do drink five beers in something like two hours, so if you have a snack available, I would bring it. Taste the best that Prague has to offer! 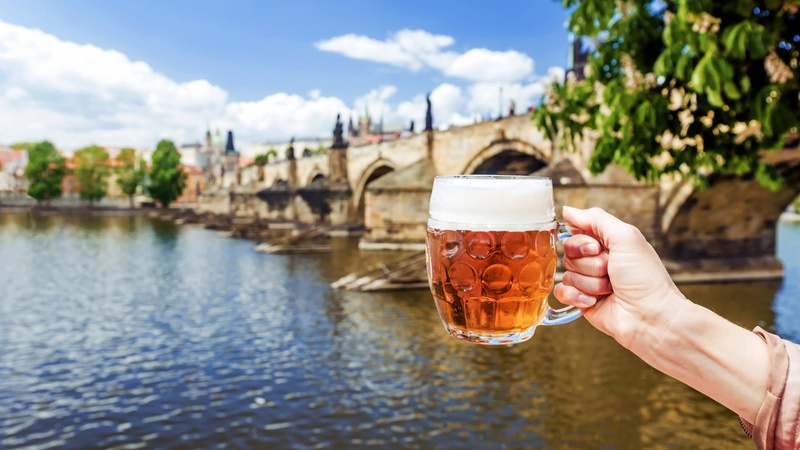 You can see the beautiful sites of Prague, and hear the local sounds, but no trip here would be complete without tasting some of the local culture too!